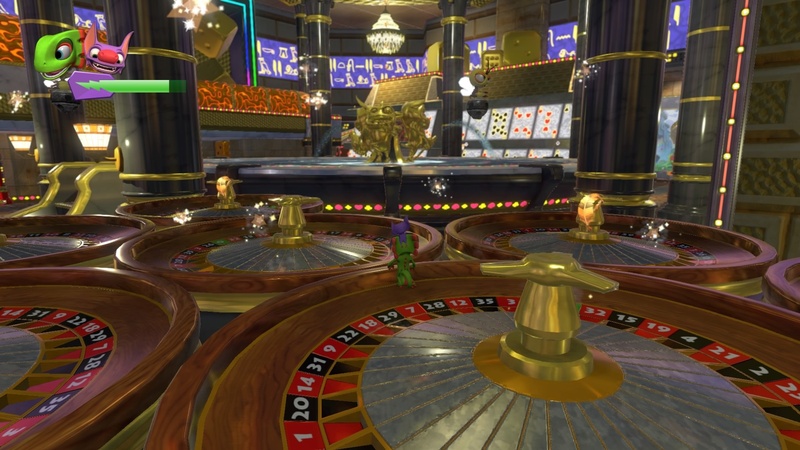 Home Read What Does Yooka-Laylee’s Disastrous Reception Mean for Kickstarter? Another day, another high-profile Kickstarter disaster. That’s not an altogether accurate sentiment, but it certainly feels like it. 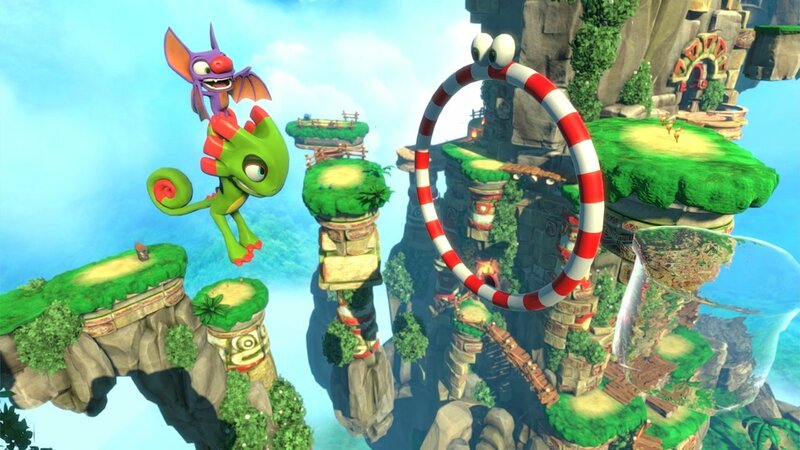 Last week, Playtonic released their much anticipated Yooka-Laylee. Unfortunately for them, things haven’t gone well as the collect-a-thon has received mixed reviews (you’ll notice Jim Sterling’s 2/10 review isn’t there, and the worst reviews are un-scored), as well as a scathing criticism from yours truly. Yooka-Laylee doesn’t possesses a single redeeming feature, other than its soundtrack. 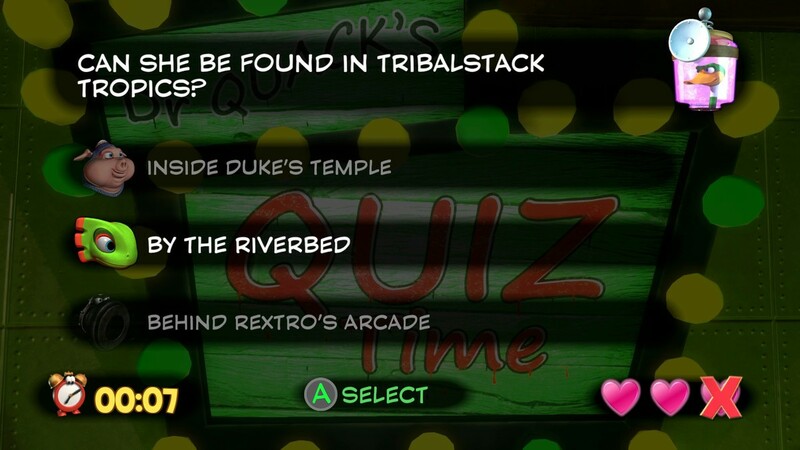 The jumping mechanics are too heavy, the camera is an uncontrollable mess, the gibberish voice acting is beyond annoying, you have to complete arbitrary memory-based quizzes to advance to new levels, and the “humor” is on par with a Larry the Cable Guy fart joke. At the start of the game, Laylee has a magazine called “Pants: Why You Should Wear Them.” ‘Pants’ in the UK means underwear, you see, and the existence of such a garment is quite humorous. 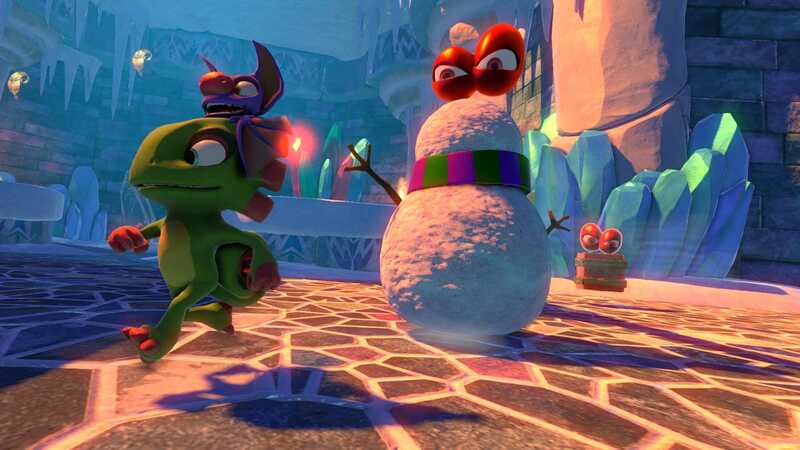 Yooka-Laylee’s crowdfunding campaign sold itself as the revival of the 3D platformer, from the pioneers of the genre. Everyone bought in, and Playtonic raised over $2.6 million. It soon became clear that the long-term health of the genre itself rested on those green and purple shoulders. It’s failure, or even mediocrity, would certainly discourage any developers touching the genre again. That’s why you needn’t have hung your hopes and dreams on Yooka-Laylee being the second coming of the 3D platformer to feel stung by its failure. It doesn’t matter what you thought of the game before its release, or even now. The entire industry – developers, publishers, and fans alike – put their eggs in Playtonic’s basket, and now they’re all cleaning up a lot of yolk. Chief amongst them is Kickstarter. This is another in a growing line of high profile failures and scandals for the platform. It starts with the Mighty No. 9 and Red Ash debacles, and gradually makes its way past the Ouya, Maksym Pashanin, Godus, Sony’s shadiness with Shenmue 3, and all the hate that once surrounded Broken Age. Yooka-Laylee finds itself in the back of that line. It’s not as bad as Mighty No. 9 or Godus, and its own mini-scandal with JonTron doesn’t rank anywhere near that of the cancellation of Yogventures. But in line it is, and hosting another highly-funded game there could be the last straw. 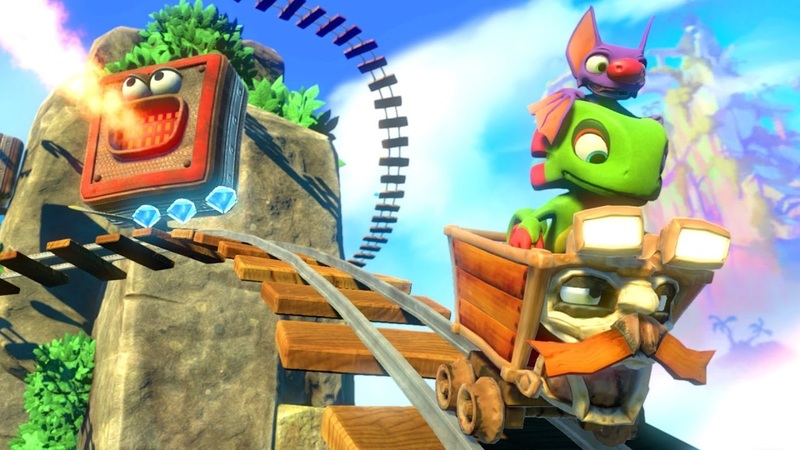 Playtonic’s concoction is the seventh highest-funded campaign on Kickstarter. All six games ahead of it have each had their own controversies, with the exception of Pillars of Eternity. Of those games, four of them are launched. Broken Age and Torment: Tides of Numenera are generally viewed as mediocre, and we all know about Mighty No. 9 by now. The one exception is, again, Pillars of Eternity, which was met favorably upon release. Those games alone might not be enough to sink the ship, but the continued accrual of mediocre and outright bad games, as well as a string of controversies and scandals are taking their toll. Funding for video game projects on Kickstarter has been steadily dropping for years now. It’s hard to pinpoint any one thing being the cause of that. It could be more creators are turning to other platforms like Fig or are handling the process themselves. But the two most likely scenarios are equally worrying. There hasn’t been a “big ticket” campaign on Kickstarter that’s raked in millions for over a year. The last campaign to break the million dollar threshold was the System Shock remake in July 2016 with $1.35 million, and Prey for the Gods was the last to surpass half a million in August of that year. Though since then Wasteland 3 surpassed $3.1 million, and Psychonauts 2 earned over $3.8 million earlier in 2016 over on Fig. It could be that people are growing weary of Kickstarter specifically, not crowdfunding as a concept. Maybe we should institute mandatory quizzes for you to finish reading our articles. But if that’s true, then the idea of crowdfunding may as well vanish for good. Kickstarter has long been the dominating force in the crowdfunding scene, obliterating second place Indiegogo in funding and quality projects from day one. Fig has become popular as a video game only crowdfunding site thanks to its equity funding, but that policy remains untested and it could only take a handful of people realizing they aren’t going to become millionaires for the system to collapse. That’s not to mention the increased potential for litigation should something go wrong. Just as backers are becoming more hesitant, it seems that so too are developers. More and more crowdfunded developers end up signing publisher deals anyway, likely receiving better deals than they would have without the crowdfunding support. It could be that crowdfunding has forced publishers to offer more friendly terms to developers in general. Or maybe developers have been scared away. It’s hard enough to look at the mob mentality that rules the gaming community today and decide to make a game, harder still if you turn to crowdfunding knowing you could be the next Double Fine or Red Hook Studios. Being in the “mixed reception” group is always temporary for any game. Right now it’s too early to say if Yooka-Laylee will fall into the “classic” or “total shite” category. Perhaps Kickstarter should consider themselves lucky regardless. By the time people make up their minds for good they’ll likely have forgotten it was ever Kickstarted in the first place. These days, it seems like no publicity is good publicity for everyone involved, with the obvious exception of the backers. A lot of fingers are breaking because of how hard they’re being crossed for Shenmue 3 and Bloodstained: Ritual of the Night. If those games aren’t great, particularly Shenmue 3 with its status as a cult classic and Sony’s backing, it’s hard to imagine the crowdfunding-well won’t dry up. It’s an unfair fate for a platform that has helped produce some of the best games of this generation. Most gaming publications and the community at large often forget about Kickstarter involvement with good games. You won’t find much mention of crowdfunding with venerable hits like Undertale, FTL: Faster Than Light, or Kentucky Route Zero. I’ve dubbed it Kickstarter Hypocrisy – not mentioning crowdfunding when discussing a popular crowdfunded game like Shovel Knight or not even knowing such a game was crowdfunded, yet gleefully dissecting every detail of a Kickstarter campaign when tearing into a crappy game like Yooka-Laylee or Takedown: Red Sabre. This negative trend will likely continue for Kickstarter. There will be less high-quality campaigns and fewer backers donating smaller and smaller sums. The only questions are how long will this slide continue, and is there any way to stop it? The only thing that will restore backer confidence is if Shenmue 3 and Bloodstained are undeniable smash-hits. Shenmue 3 is a double-edged sword though. It being good will only reinforce there’s no point to crowdfunding when you can sign with a less controlling publisher like Sony. It all goes back to what Double Fine stated when they first popularized crowdfunding for video games. They didn’t want to destroy publishers, they wanted to force publishers to give developers better deals in the future. Maybe we’re at that point now. The multi-million dollar Kickstarter campaigns always felt like a bubble, and now it’s burst. Only small developers are left in the wake, unable to get a publishing deal if they wanted to. This is another article that ends with a limp “only time will tell.” A Kickstarter campaign might launch tomorrow that’ll break records, or the site could be sold off to Google or some other tech company who’ll only ruin it. The one thing anyone can say with any certainty is that Kickstarter cannot afford another high profile failure.